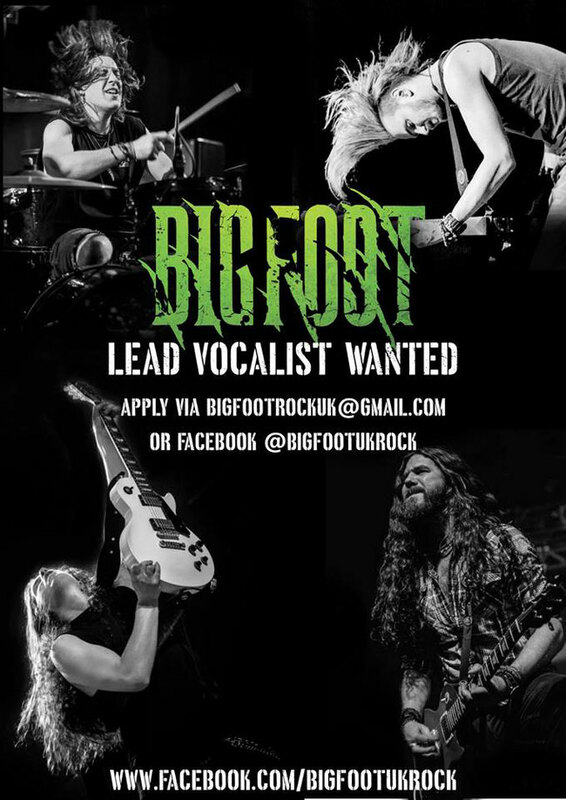 We are officially opening applications for the position of lead vocalist in Bigfoot. We are a signed, touring band so serious applicants only please. We are based in Greater Manchester but are willing to consider applicants in all locations and will adapt for the right person. If you think you are right for the position please send a bio with any examples of your previous work directly to us via message on our Facebook page or to bigfootrockuk@gmail.com to be considered and receive further details. “In case you missed it….. Applications are still open! Please get in touch and show us what you’ve got! For everyone who has already been in touch, we’re overwhelmed with the response so far and are working through the huge amount applications we’ve had already so don’t worry if you’ve not heard anything back yet!